H726-BELT HOLSTER [H726] - $90.50 : Don Hume Leathergoods, Simply the Best! 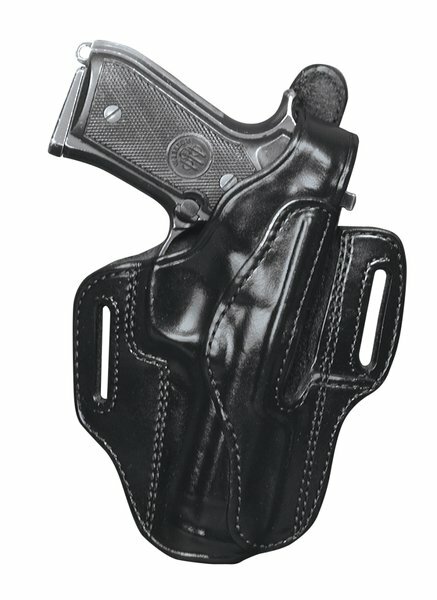 AUTOMATICS - Similar to the popular H721 holster. The H726 is designed to enable the user to draw large weapons and still maintain a natural draw. With the spring loaded partially open front, it is only necessary to raise the weapon a short distance before executing the draw. Metal reinforced thumb break and double stitched sew lines. Will fit belts up to 1 3/4". I have bought the H726 for three of my pistols and it is my favorite holster. The most comfortable and well concealed I own. B109-L TROUSER BELT LINED 1 1/4"